How do I find out if I qualify to become a Mathnasium franchisee? Mathnasium is an international chain of year-round learning centres where children go to improve their math skills. We are highly specialized; we teach only math. Each franchised centre utilizes the Mathnasium Method™, an individually customizable educational curriculum that has been created through over 35 years of classroom experience and research. Its goal: teach children math in a way that makes sense to them. 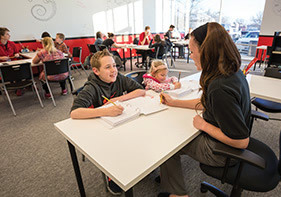 Mathnasium centres are open to members at least five times per week during after-school and weekend hours and children are encouraged to attend twice weekly for best results. Using the Team Teaching technique along with over 17,000 custom worksheets covering topics from pre-K to pre-calculus, Mathnasium has been making a difference in the lives of children since 2003 when we opened our first centre. Today, we have more than 750 thriving centres across the globe... and we are continuing to grow at a pace of nearly 2 new centres each week. 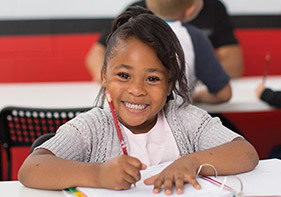 What is a Mathnasium franchise? A financial system – for collecting fees, paying bills, financial reports, etc. 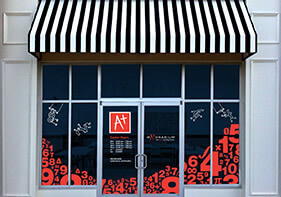 What advantages does Mathnasium offer that other franchisors might not? Most of our franchisees tell us that an important factor for them in choosing Mathnasium is the nature of the work. They want a personally fulfilling venture as well as a financial opportunity. They want to enjoy what they do and they want to look forward to going to work every day. Additionally, our franchisees want to own a business that makes a real difference. They work better when they are passionate about what they do. Also, Mathnasium franchisees have found fundamental flaws with other education franchisors, including one or more of the following: high initial fees, exorbitant royalties, huge investment costs, unfair territories, complicated business models and multiple subjects instead of our focused math-only approach. These flaws can diminish results for the children, and diminish the value to their parents. Mathnasium has the independent research that shows superior results from our teaching methodology, and we deliver these results every day. Mathnasium franchisees also tell us they care about the company and the franchisee community they are joining. They like being part of a franchisor/franchisee community of accomplished and caring individuals. Everyone from our franchisees to our executive team is in alignment: We all want to help children succeed in math. What type of training does Mathnasium provide? You will start with 40 to 50 hours of online interactive training. This is done in the comfort of your home and will prepare you for Mathnasium’s one-week Initial Training program in Los Angeles, which includes both classroom and interactive training. Our comprehensive and proven franchisee education program will cover step-by-step use of the operations manual and all the areas important to your success as a franchise owner. Most importantly, you will be trained and supported on an ongoing basis by our dedicated franchise support team who will be there when you need help. The cost of this initial training is included in your franchise fee. You will be responsible only for your travel expenses. 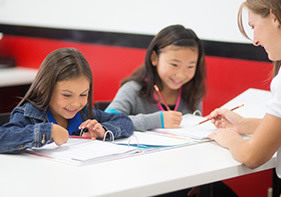 Before opening your Mathnasium Learning Centre, you will also have the opportunity to take part in our Apprenticeship program where you will spend one week working hands-on in a top performing centre in Los Angeles. Do I have to teach children myself? As a Mathnasium franchisee, you are only required to personally participate in the management and operation of your centre(s). However, our goal is to make you comfortable with overseeing all aspects of running the centre, including working with children. Any business operates better if you’re hands-on. Your plan will include hiring instructors on an as-needed basis as your enrollment increases, but you should be willing to invest your time and energy in all functions of the centre, including teaching as needed. How are Mathnasium centre operators supported? Our goal is to help you to launch your centre speedily, comfortably, and confidently. You'll receive thorough initial training to prepare you to open your centre. On an ongoing basis, we'll be available to answer questions, and if you have a problem, we'll try to help you solve it. Together, these support services not only provide stability for new franchisees, but also allow easy access to strategies for continued improvement.